Some of the new sellers said they wouldn’t be returning next year because it cost more for the booth they rented than they sold. I was just asking some if they would be returning because I would like to purchase next year. I always enjoy seeing what’s new for the upcoming inventory. The vendors were very helpful and the set up was good. I like this time of the year in Las Vegas also. I always find excellent values. HUGE show...critical to have appointments made with customers before show starts. My husband and I attended as many seminars as we could fit in and we really enjoyed the presenters. One room was not prepared with a led projector and screen so the presenter had no slide show and, for some reason chose not to use the microphone. Extremely personable exhibitors. Great variety! 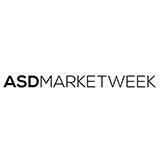 The ASD week was great and met many buyers. It’s a great pleasure to be in the show and looking forward in August 2018. It was an interesting market week. Only thing we found annoying was certain booths grabbing us and trying to apply creams, when we were NOT interested in that product, and just passing by to get to other areas like decor! Not appreciated.